Last week, China offered to host representatives of the Syrian government and the opposition for talks, Beijing’s way of supporting a peace process laid out by a recent UN Security Council resolution. 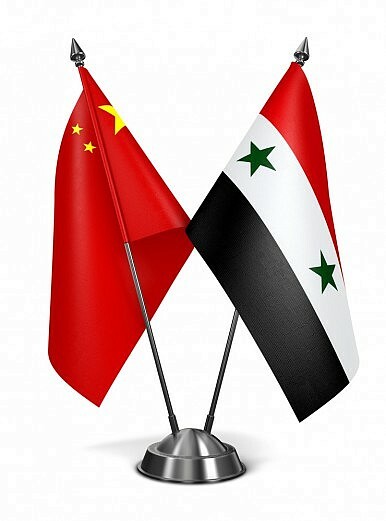 Less than a week later, on December 23, Syrian Deputy Prime Minister and Foreign Minister Walid al-Moallem arrived in Beijing for meetings with Chinese Foreign Minister Wang Yi and State Councillor Yang Jiechi. Wang told reporters that he and Moallem had agreed on three general principles for the talks: “We should stick to the peaceful resolution of Syrian issue, the people of Syria should decide the future and fate of Syria, and the U.N. plays a key role in negotiations.” China has long insisted that a political process conducted by the Syrians themselves is the only way to solve the crisis – and had thus avoided taking an active role in either the U.S. or Russian-led airstrikes on Syrian soil. A negotiated peace seems a remote hope, after over four years of vicious fighting sparked by a brutal crackdown on pro-democracy protests in March 2011. Both the Syrian government and the opposition have been accused of committing war crimes during the conflict, with Damascus in particular coming under international criticism for using chemical weapons on civilians. Roughly 300,000 people have been killed in the civil war, with another four million refugees seeking shelter in other states. Wang also announced on Thursday that China will provide 40 million renminbi ($6.17 million) in humanitarian assistance to Syria. That mostly serves to emphasize how understated China’s role in the Syria crisis has been to date. For comparison, the United States promised $419 million in humanitarian aid for the Syrian crisis in September, bringing its total contributions to a whopping $4.5 billion. China itself has done far more in other areas of the world; for example, Beijing donated money and goods worth over $110 million to African countries suffering from the Ebola outbreak in 2014 and 2015. So we have some mixed signals coming out of Beijing. On one hand, inviting the Syrian foreign minister to discuss the peace process so soon after the UN Security Council resolution passed shows an initiative that’s been missing from China’s response to the crisis. On the other hand, the amount of aid reflects the existing reality: that Beijing simply isn’t willing to become overly invested in this particular hot spot. Wang continued to hedge Beijing’s potential role with the caveat that China would help “to the best of its abilities,” and declined to give any specifics on how China might assist in the fight against Islamic State (which has carved up portions of Syrian territory). The planned visit from the Syrian opposition will be the next step in China’s tentative steps into the Syria mess. When that will be, who will be invited, or even which opposition groups will be represented are still to be determined. The UN-mediated peace talks, meanwhile, are set to open in January in Geneva.